This beautifully refined wall light with its stunning lines and charcoal grey colour would add sophistication to any space in need of soft focused lighting. 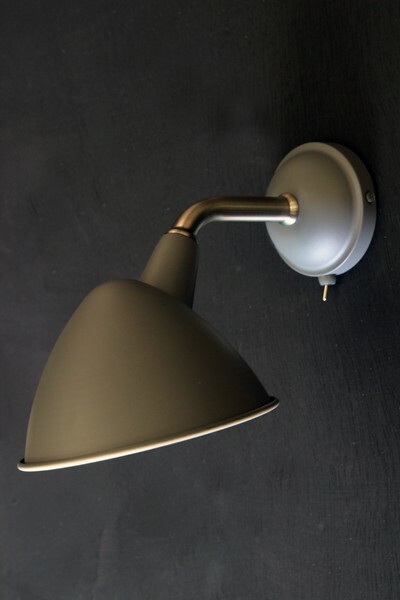 The stunning simplicity of this fabulous Mid Century Style Wall Light will look great used throughout any home - whether hung in a row along your hall way, or as a feature in an alcove, the deign of the wall light would be a perfect addition to complement any interior. The light protrudes 27cm away from the wall. The shade has a diameter of 15cm, and the ceiling rose has a diameter of 9cm.